"Winner 2012 Chamber of Commerce Outstanding Non-Profit Award"
and Preserve the History it Represents! 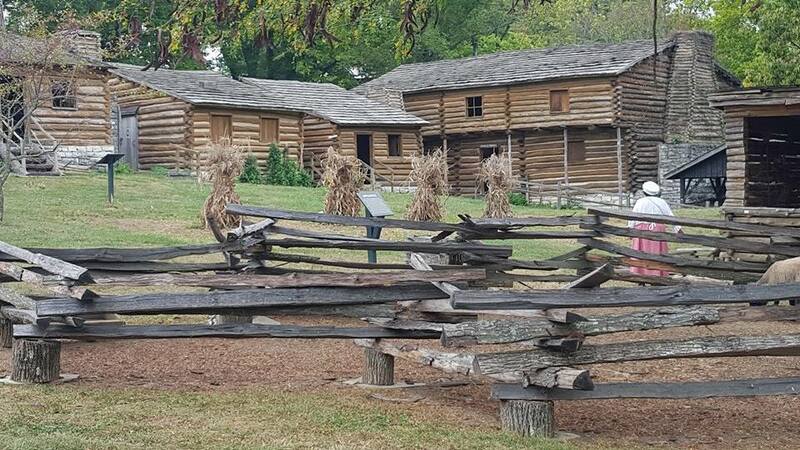 Friends of Fort Harrod is a group of people from all walks of life in the Harrodsburg community who work and donate to preserve and promote the Old Fort Harrod State Park. We are the "Guardians of the Fort"! Friends of Fort Harrod is a non-profit, 501(c)(3) tax exempt public charitable organization, a member of the Kentucky State Parks Foundation and the Mercer Chamber of Commerce. 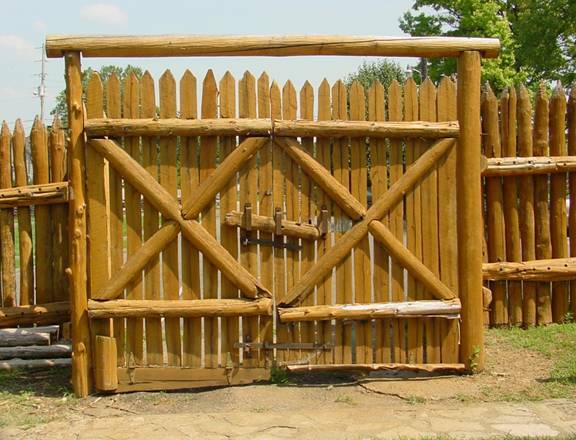 Friends of Fort Harrod is the only citizens group "officially sanctioned" by the Old Fort Harrod State Park. All funds raised go to benefit Fort Harrod and the Park. Friends of Fort Harrod is the proud winner of the 2012 Mercer Chamber of Commerce "Non-Profit of the Year Award", recognizing our efforts to restore the James Harrod Amphitheater and return it to service for our community and visitors. The 2018 Season is here! 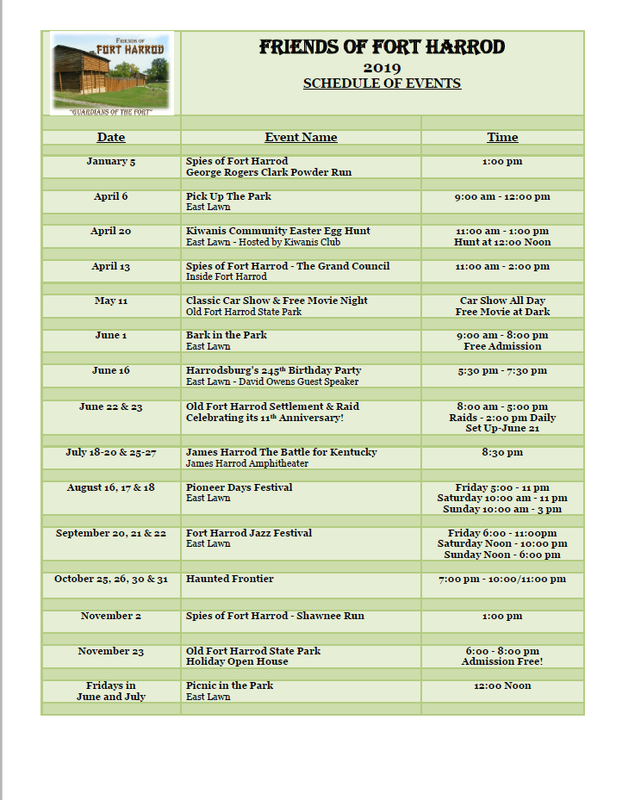 There are many exciting events this year at the Old Fort Harrod State Park! To see the full "2018 Schedule of Events" just click the link in the upper right corner of this site. The "Pick Up The Park" event will be on Saturday, March 24, 2018 from 9:00 am to 12:00 noon. Refreshments are provided. Volunteers are needed to donate 3 hours to help clean up the Park in preparation for the 2018 Kiwanis Easter Egg Hunt and the 2018 Park Season. Thank you to everyone who came and volunteered their time and energy last year! The feature interpreter for 2018 is John Curry. 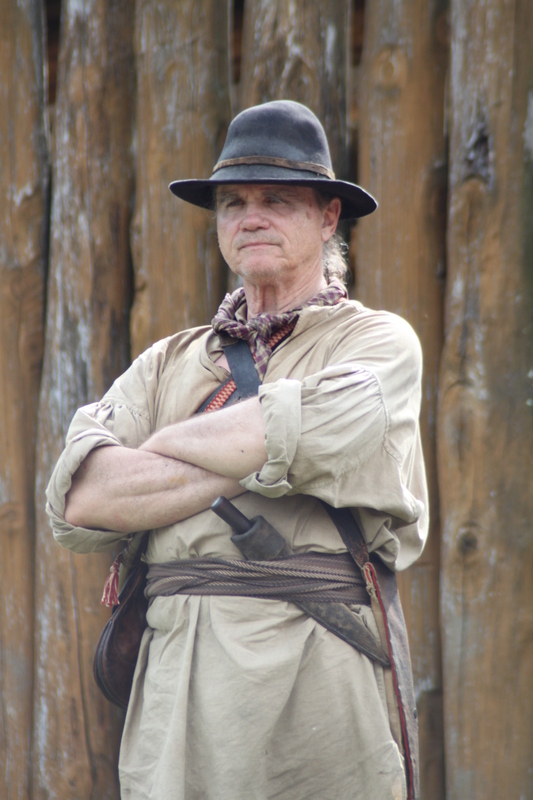 2018's schedule of events includes the Spies of Fort Harrod's signature events "Clark's Powder Run", the "Grand Council" and "Shawnee Run". 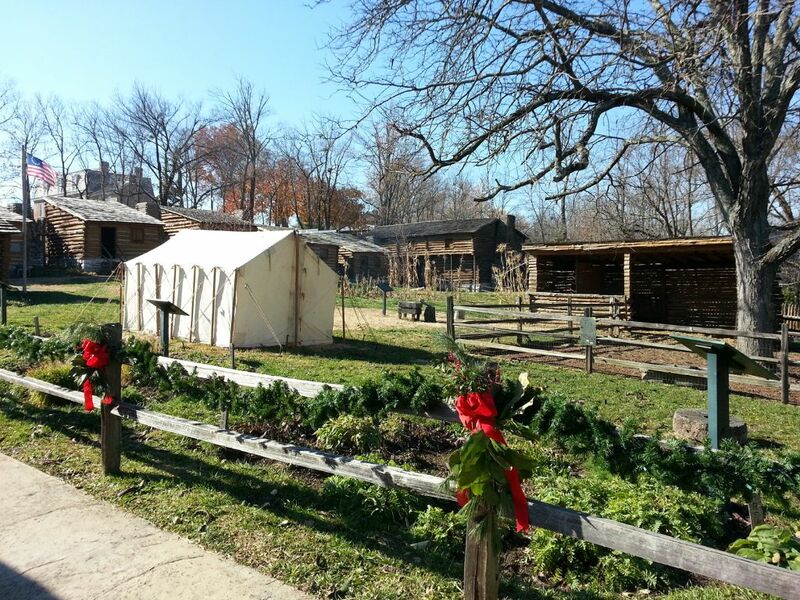 Also this year, Harrodsburg's 244th Birthday Party and the Park's signature event, the 10th Annual Old Fort Harrod Settlement and Raid, the three day Pioneer Days Festival, the 5th Annual Fort Harrod Jazz Festival, Haunted Frontier, 18th Century Trade Fair and Park Holiday Open House. Also new in 2018, Friends of Fort Harrod will sponsor it’s second rifle raffle. The rifle is being built by "Wayne Estes" this year. Wayne is well known and respected as an artist. Tickets are $5 and are now available from any member of Friends of Fort Harrod or at the Fort Harrod Ticket Office. Friends of Fort Harrod meets on the 4th Monday of each month at 7:00 PM in the Mansion Museum Dining Room at 100 South College Street, Harrodsburg, Kentucky. All are welcome! We are recruiting new members! 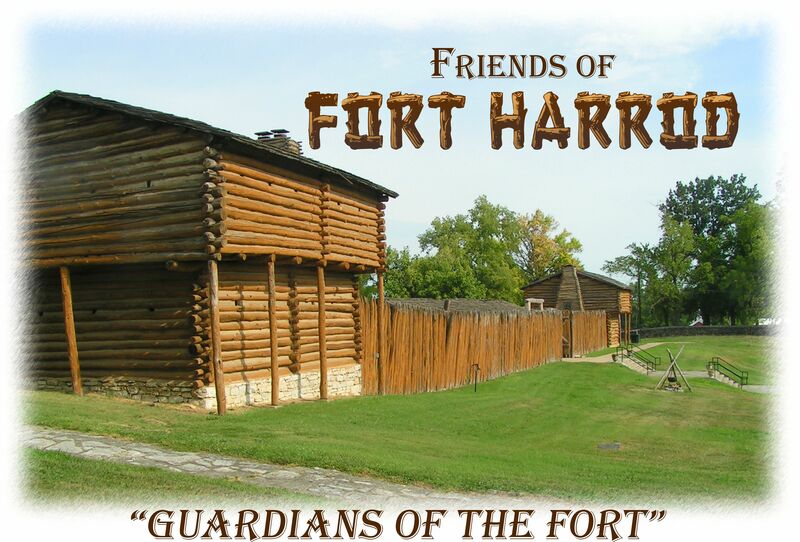 If you love Fort Harrod and want to see it preserved, please come join us and become a "Guardian of the Fort"! The dues are only $20 per year or $30 for a family. All donations to the Friends group will be greatly appreciated and are fully Tax Deductible! 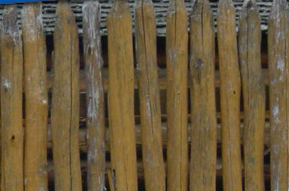 Your donation will be used to repair and improve the Fort and Park, purchase needed equipment and fund public events designed to educate and entertain.